2. Add the cumin seeds and cinnamon. 3. Fry for a few seconds and add the onions. 4. Saute till the onions are lightly brown. 5. Add ginger and garlic. 7. Add the mushrooms and cook till they are wilted. 8. Add the coriander powder, cumin powder, turmeric powder and red chilli powder. 9. Stir well and add the tomato. 10. Pour 1/4 to 1/2 cup of water and cover the pan with a lid. 11. Reduce flame to low and simmer for 5 to 10 minutes. 12. Now add the chickpeas, salt and 1/2 cup of water. 13. Cover with a lid and simmer for 15 minutes, stirring from time to time. 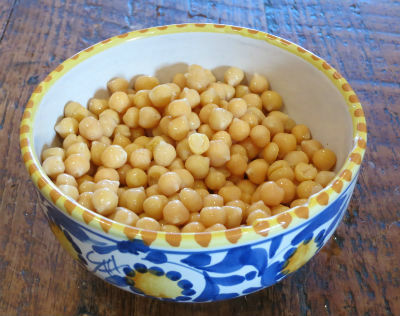 Feel free to comment or share your thoughts on this Chickpeas with Mushrooms Recipe from Awesome Cuisine.